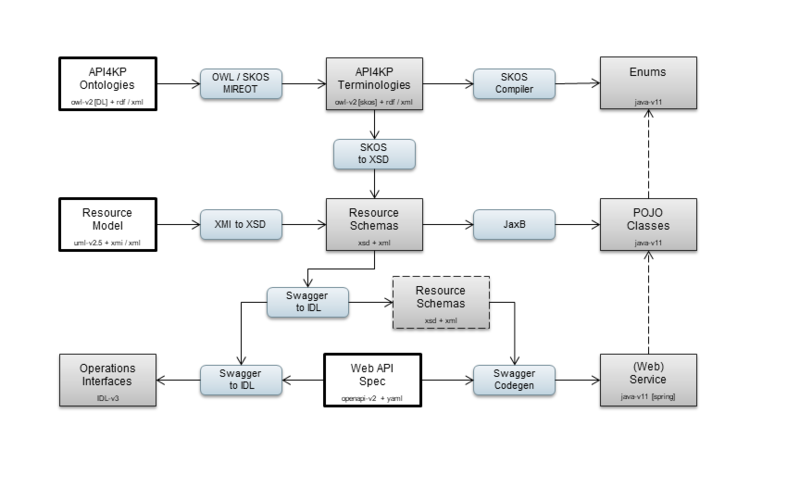 The API4KP standard is based on a model-driven architecture that combines UML models, OWL ontologies and OpenAPI specifcations to define a platform, technology and vendor independent way to build and interact Knowledge Based Systems. The Mayo Clinic "Knowledge Management and Delivery" Team has released a reference implementation of a "Knowledge Management and Delivery Platform" proof-of-concept. This implementation was developed as part of a research project.